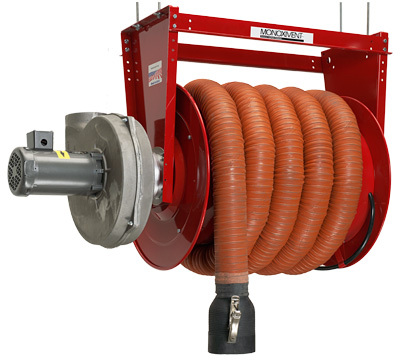 Monoxivent’s Hose Reels are the premier solution for vehicle exhaust fume removal. 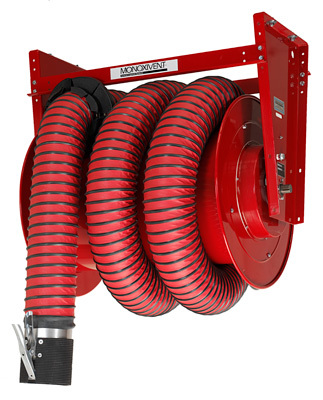 Hose Reels offer a convenient and efficient method for extracting harmful emissions from all types of service areas. Hose Reels are either Motor Operated or Manual Spring Retractable. The Reels are offered in standard 4-, 5-, 6-, and 8-inch hose diameters. Oversized Hose Reels within the XL SERIES are offered with 24″- and 36″-diameter drums. The reels accommodate between 8″ and 18″ diameter hose. The Reels are supplied completely assembled and ready for installation. 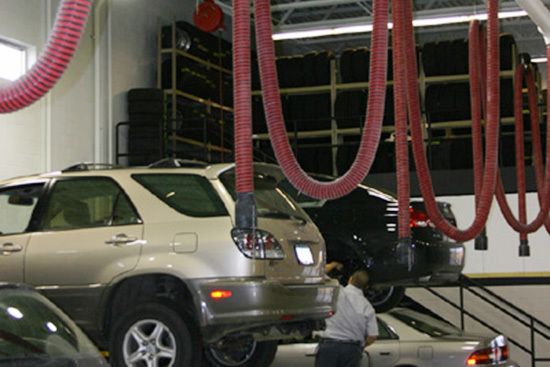 To learn more about Monoxivent’s line of Vehicle Exhaust Removal Systems, visit their website. Monoxivent’s conventional overhead systems are the user‐friendly and cost‐effective solution that meets a wide‐variety of demands. These systems incorporate many hose types and lifting configurations. The hose types range from high‐temperature silicone to medium‐temperature polyester. The lifting configurations include ropes and pulleys and cable balancers. 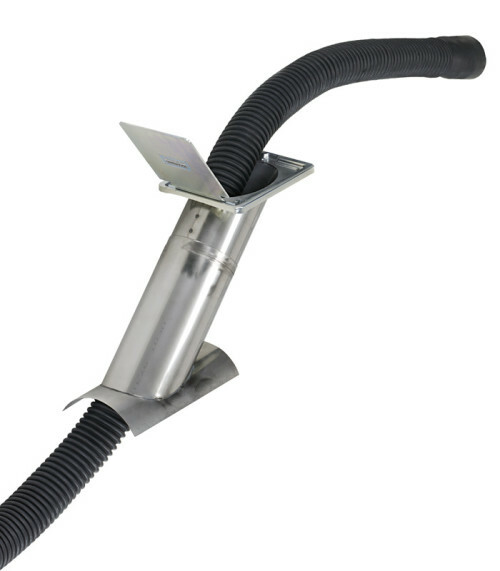 The retractable telescoping system and the swivel booms offer other alternatives for overhead exhaust extraction. Complete the package by adding a direct‐mount fan, which allows a complete‐stand-alone system. Or connect to ductwork and a central fan. Monoxivent’s Technorail Systems and conventional Overhead Exhaust Removal Systems are user-friendly and cost-effective solutions that meet a wide variety of demands. NORFI is a manufacturer of extruded aluminum exhausting rail systems and related products. Underground Exhaust Removal Systems are offered in either a self-storing or plug-in configuration with ductwork underground. 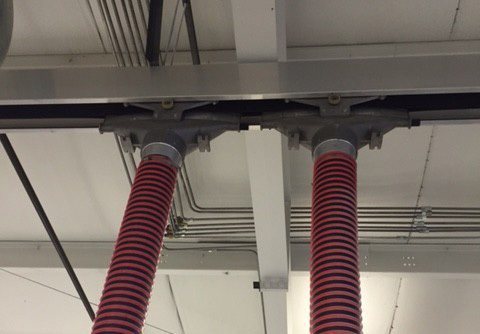 The self-storing systems have the “flex drops” stored under the floor in the ductwork. In the plug-in configuration the flex hose simply plugs into the floor outlet; and the flex drops are stored, above ground, on hangers. Featuring single or dual outlets and the option of self-storing (most common) or plug-in style. BENEFITS: Self-contained hose assembly; Lay-flat door, flush with shop floor in open position; Eliminates need for hose drops from the shop ceiling; 3000 Series Hose features heavy convolutions and is no-crush neoprene type hose. 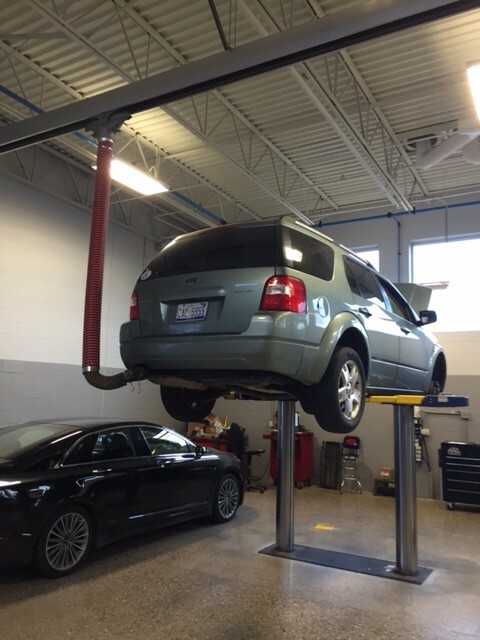 Auto Dealerships, Motorcycle Shops, Light/Heavy Equipment Repair, Garage Settings, Anywhere an Overhead System is not practical.